November 22, 2015, Queens, NY There was no “B” side. Both fighters are “A” listers, and they proved it when they fought last night. The only thing that marred the fight was, well, the scoring. 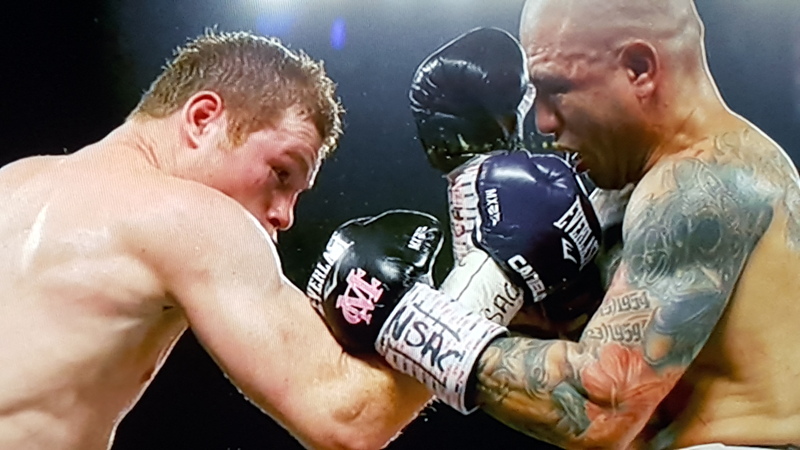 In a very competitive fight, Saul “Canelo” Alvarez defeated Miguel Cotto by unanimous decision. The judges scored it 119-109, 118-110, and 117-111. That translates to 11-1, 10-2, and 9-3 in rounds. PureSportsNY had it 116-113, (7-4-1 in rounds). Neither Canelo nor Cotto consented to revealing their pre-fight weight, but Canelo was reportedly at 175 lbs. That’s 20 lbs. over his official weight. He was clearly the bigger man, and that was clearly a major factor in the outcome of the fight. Cotto probably put on another 7 – 10 pounds, but he was still giving away a whole weight class in terms of pounds. Canelo wasn’t just bigger; he was stronger. Bigger doesn’t always translate into stronger (see Exhibit A: Rios versus Bradley; Rios was clearly bigger, but that weight advantage didn’t give him an edge in strength). Canelo’s punches were more effective due to his being stronger. 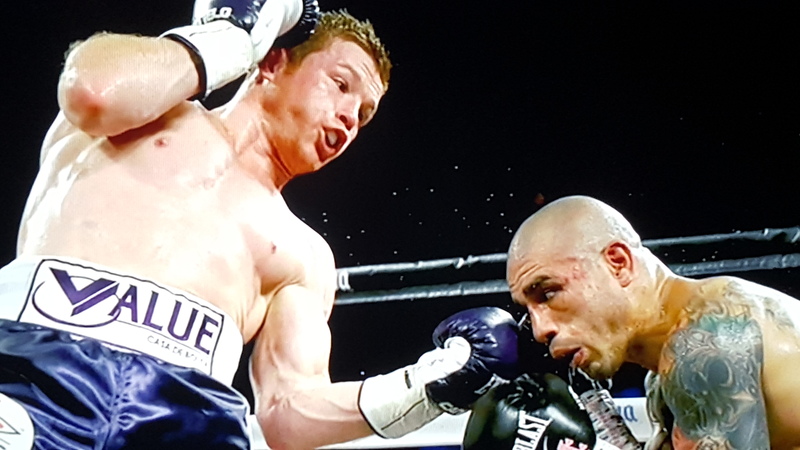 When they would exchange, Canelo often got the better of it due to his power advantage. Canelo was sharper in terms of clean punching. He not only hit Cotto with more punches; he hit Cotto with greater precision. 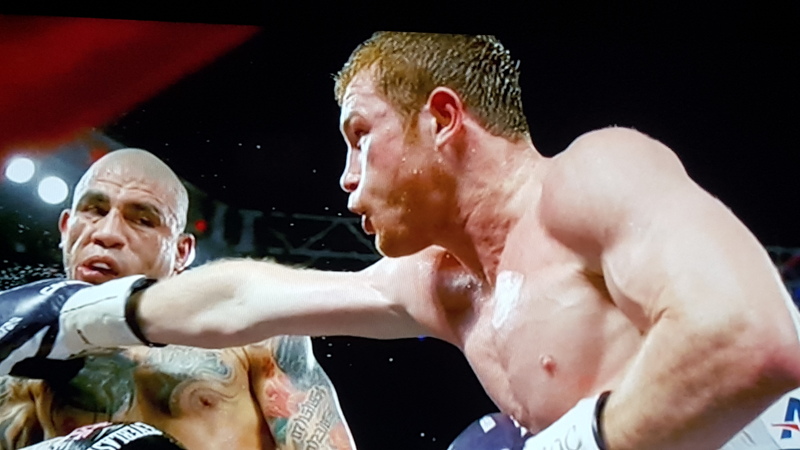 Canelo wasn’t the better boxer last night, but he was in the conversation, meaning, he more than held his own in terms of the technical aspects. Cotto was the faster fighter. He moved in and out as well as side-t- side effectively and would have probably beaten Canelo if they fought 24 hours earlier. This brings us to a larger and more serious problem with the sport of boxing. Years ago, the weigh-in was on the same day of the fight, so if you put on an additional 10 or 15 pounds after the weigh-in, you did it at your own peril. But weigh-ins have become spectacles in their own right and are used as promotional catapults. It makes sense from a marketing standpoint, but the practice is damaging the integrity of the sport. 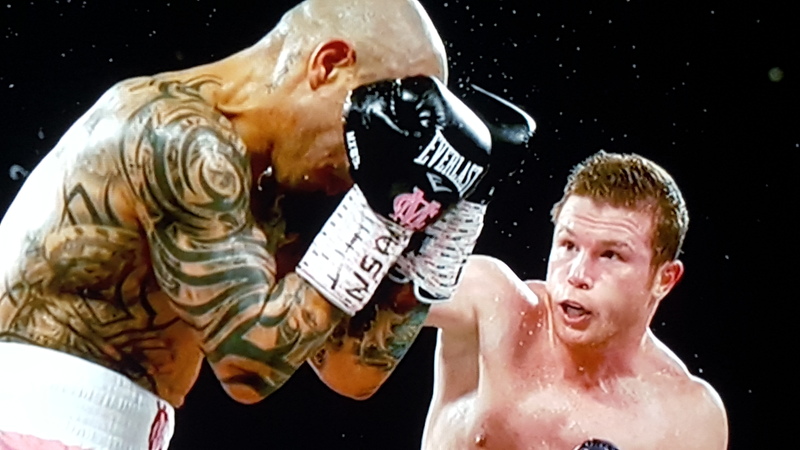 Did Canelo prove that he was actually better than Cotto? The answer is “yes” if it’s 175 lb. Canelo versus 165 lb. Cotto. But that’s not what was actually agreed to, so the outcome is somewhat tainted. There is talk of a rematch, but there is nothing that would indicate Cotto-Canelo II would be different. Cotto will probably move back down to 154 lbs. and fight Timothy Bradley. Canelo may take on Gennady Golovokin which would be the next “No ‘B’ Side” fight.